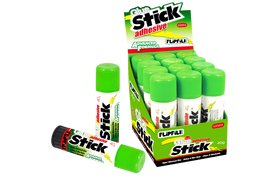 Flipfile PVP Glue sticks - Box 288 x 40g (large). Quality glue sticks in a budget box. Perfect for schools.